Rowley Park Speedway was named after Mr. Enoch Procter ( Ted ) Rowley. Rowley Park Speedway came about when speedcar drivers were becoming unhappy with the new speedway promoters at Kilburn Speedway. The soccer ground at Bromptom was having problems growing the turf and would flood in winter. On the 15th of August 1949 a plan to build a Speedway track similar to Kilburn Speedway at Hindmarsh. It was reported to the Hindmarsh City Council by the Town Clerk of Hindmarsh Mr. R.W. Langman. The Speedway would be used twice weekly. Councillor Johnson said he had canvassed the district and found that the majority of the residents did not object to the building of the Speedway, which will cost over 5000 pounds. The grounds were still owned by the South Australian Soccer Association who leased it to the speedway. Pop Hargue and accountant J.V Palmer formed Rowley Park Speedway. Wally Watson was the first speedway manager.in 1949 to 1951, Alf Shields then took over for a further three seasons in 1951 through to 1954. It was in 1953 dolomite was introduced to the circuit where there were mixed reactions. Kym Bonython then took over as promoter from 1954 through to 1973 who done a superb job in promoting the circuit. In 1955 Jack Self was Kym Bonython's Speedway Manager. In 1955 Kym Bonython and Jack Self changed the width of the track making it wider. The Slogan was....Be here at the Nation's No.1 Speedway each and every Friday night because.. FRIDAY NIGHT IS SPEEDWAY NIGHT. Speedway at Rowley Park is sadly missed. *************************************************************************************************************Rowley Rowley Park Speedway. 1973/74 Season. An official Program cost just 25 cents. Perpetual Trophy Donor was COCA COLA Bottlers Aust. Pty. Ltd:... Seasonal Trophy Donors were Don Bowden Used Cars, Auto Welders, Blair Athol Auto Wreckers, Atlas Motor Wreckers & Coca-Cola Bottlers. Graham Benneche held the 8, 25 & 50 lap track records while Tony Orlando made the 10, 12 & 15 lap records his own.... Paul Gustafsson held the 20 lap rolling start record in the Saloon Cars.... John Boulger held the 3 lap Solo record & Neil Munroe the sidecar 3 lap record.... John Moyle, Phil Herreen, Bill Wigzell & Bob Linke held the Sprintcar records.... Joe Brandler, Dean Hogarth, George Tatnell, Peter Maltby Col Hennig, John Fenton ( W.A ), R Goode ( Qld. ) 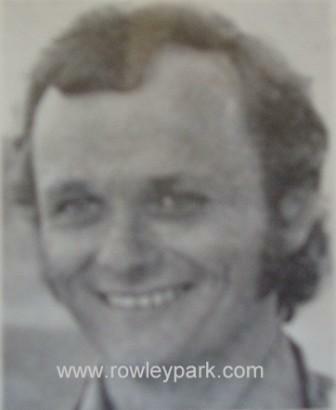 & R Tattersall ( U.S.A ) shared the Speedcar records. Rowley Park Speedway. 1974/75 season. An official Program cost 30 cents. Rowley Park Speedway. 1978/79 and its Grand Final Season. An official Program cost 50 cents. Some of the Trophy Donors were Coca Cola Bottlers, Summit Records, Taylor Team, Len Williams Used Trucks, The Motor Market, and the Challa Gardens Hotel. Graham Benneche still held the 50 lap record while Roy Harley held the 25 lap record.... Tony Orlando held the 10 lap record and shared the 8 lap record with John Crowhurst who also had the 12, 15, 20 and 40 lap records to himself in his Chev Powered Holden HQ. Monaro.... John Boulger along with Phil Crump and George Kennett ( England ) held the 3 lap clutch start in the Solo's.... Deane Taylor and Peter Menz held the 3 lap record on the Sidecars.... Jim Sills ( U.S.A. ) and Steve Brazier shared the 1 lap record in the Sprintcars while Bill Wigzell held 5 records Gary Rush 2, Bill Barrows, Bob Aylesbury and Jeff Harris each held one. John Moyle held the 50 lap record.... In the Speedcars Bill Wigzell has 4 lap records,Phil Herreen 2 while Geof Pilgrim ( W.A. ), Rex Hodgson, Dean Hogarth, Bill Goode ( Q.) each held one. Bob Tattersall ( U.S.A ) held the 50 lapper and Joe Brandler held the 100 lap record. Speedway Park Program 1979 / 80 and its first season. An official Program cost 60 cents and the final race meeting's souvenier program cost 80 cents. For more Rowley Park Speedway events and results please read more.